www.joerilla.com sits down with Brendan after his showcase for a qucik interview about how he got his start in musc,how he likes Nashville and some of his favorite music. BUY!! 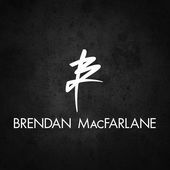 his new Self titled album "Brendan MacFalne" out NOW!! With their Heavy Lies the Crown LP due out October 21st, AOTP (more specifically Vinnie Paz, Celph Titled, Block McCloud, Reef the Lost Cauze, Esoteric, Crypt the Warchild and Apathy) drop a wrestling-inspired visual for their latest track "Terrorstorm." Pre-order the new album now at iTunes: http://bit.ly/Ytx5Iv Or our online store at: http://www.merchdirect.com/jedimindtricks "Terrorstorm" featuring Vinnie Paz, Celph Titled, Block McCloud, Reef the Lost Cauze, Esoteric, Crypt the Warchild & Apathy from the new album "Heavy Lies The Crown" available October 21, 2014. Produced by C-Lance. The official director's cut for "V12" directed by Charles M. Robinson V12 is the first video single release from Tha City Paper's NEW!! album "PaperView 2"